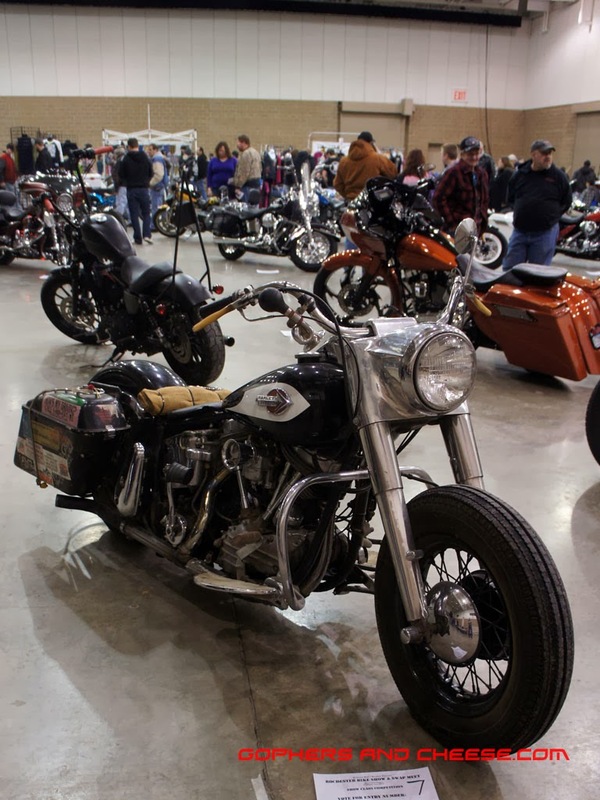 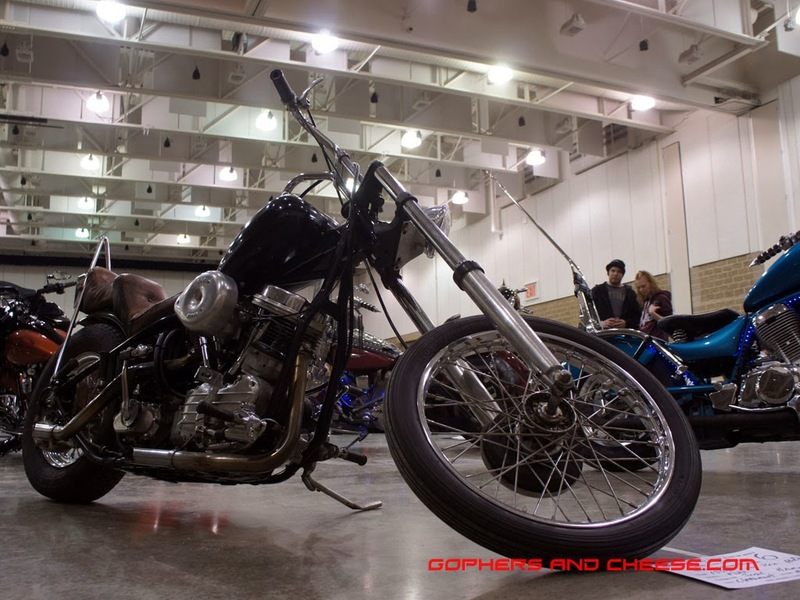 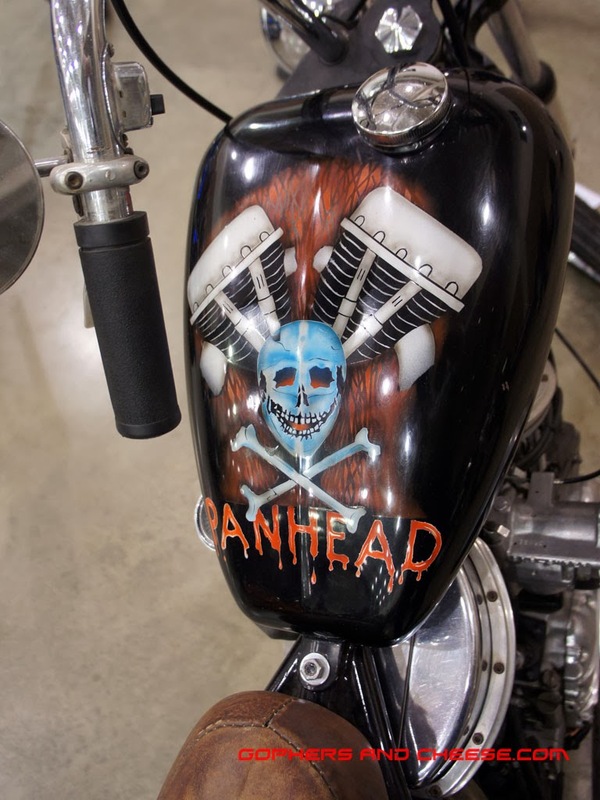 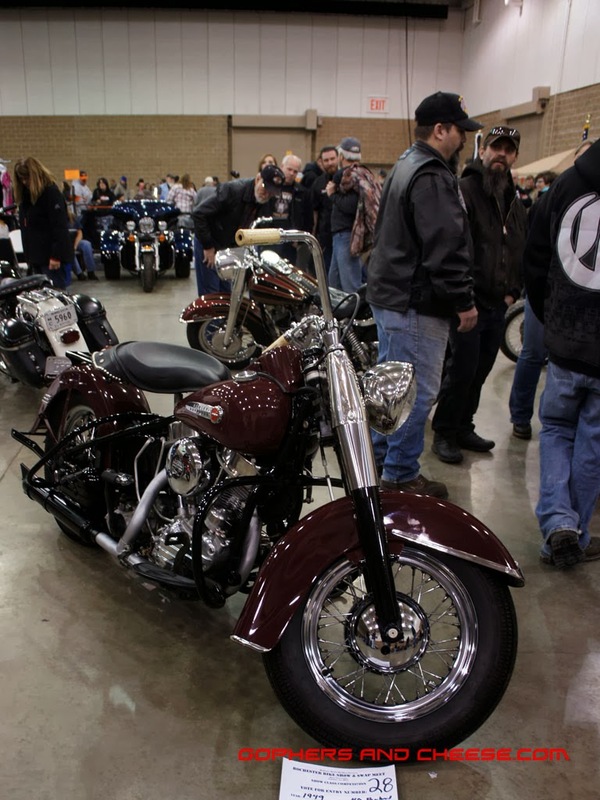 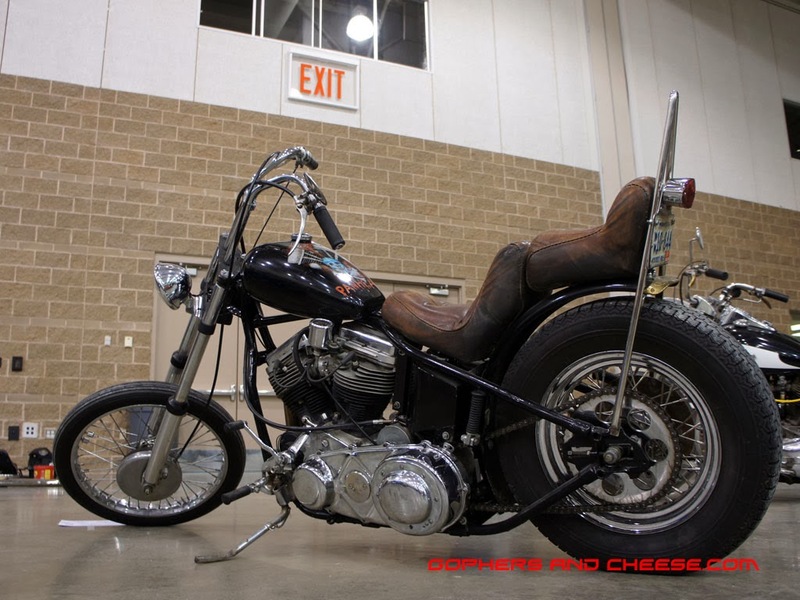 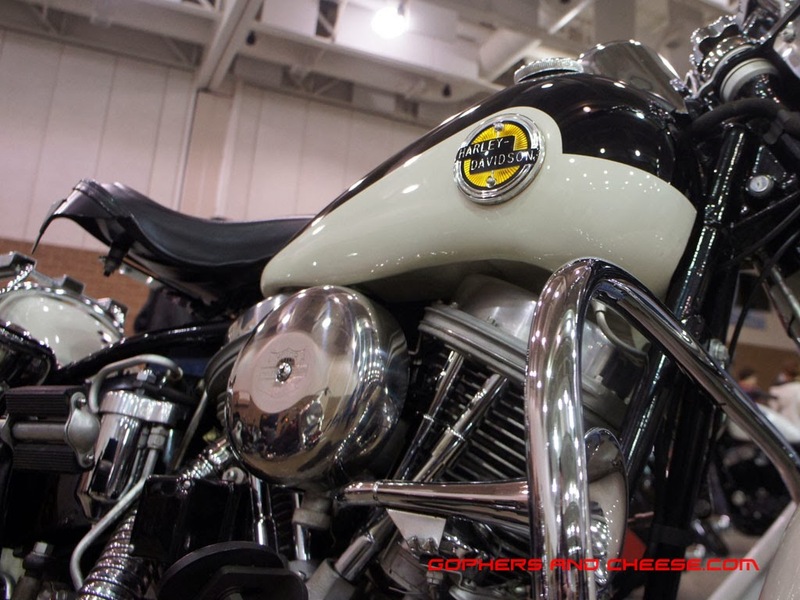 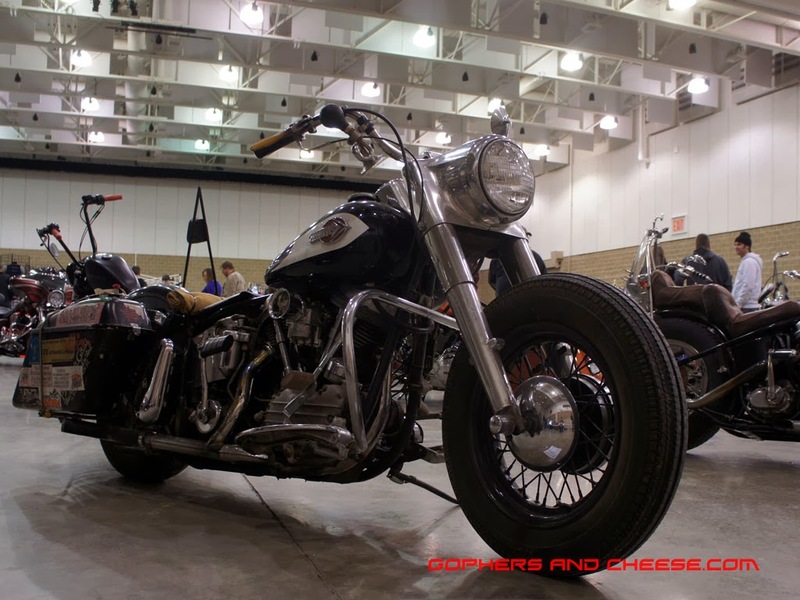 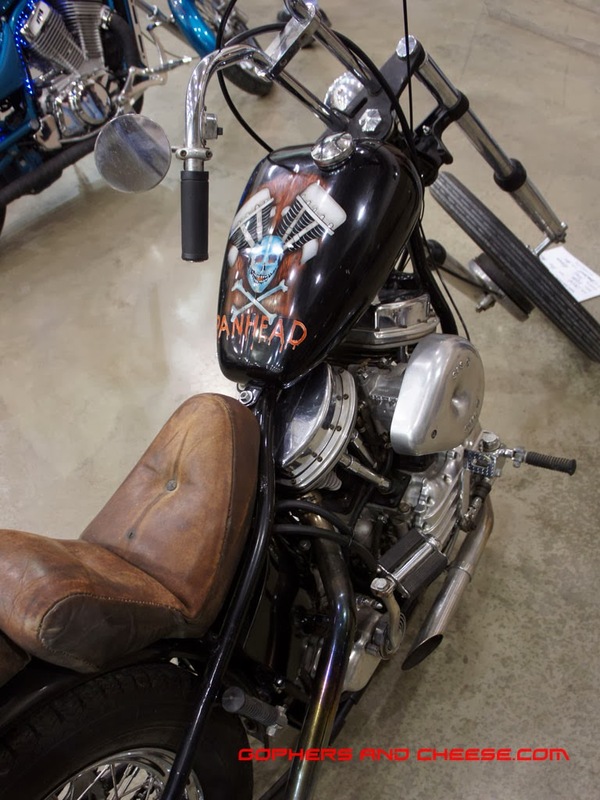 There were a few Panheads at the 9th Annual Rochester Bike Show and Swap Meet. 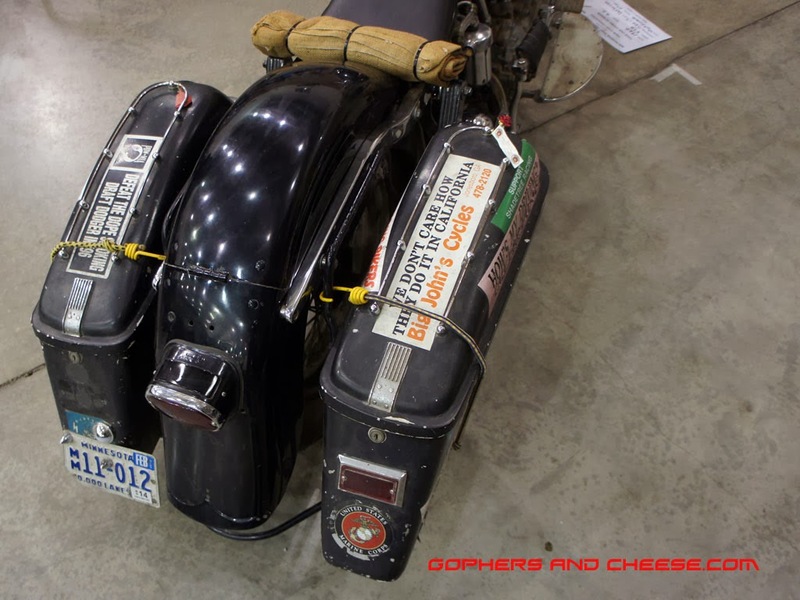 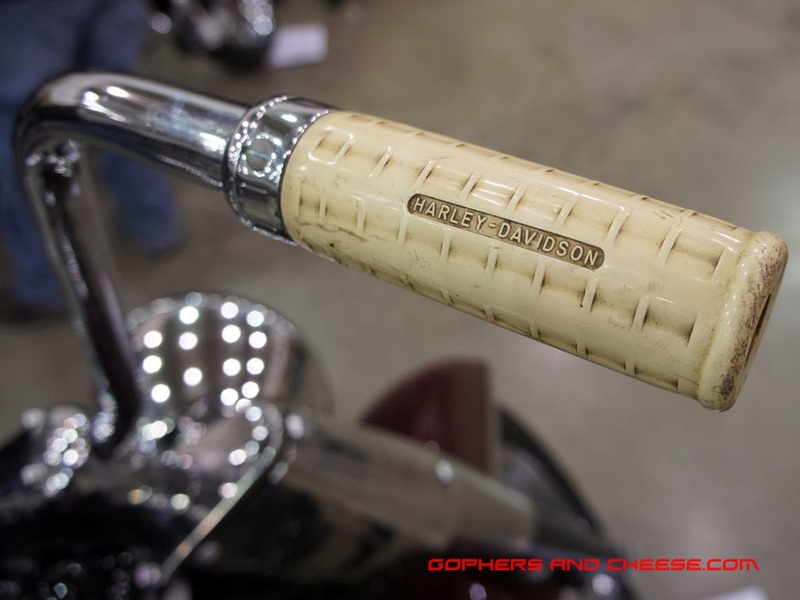 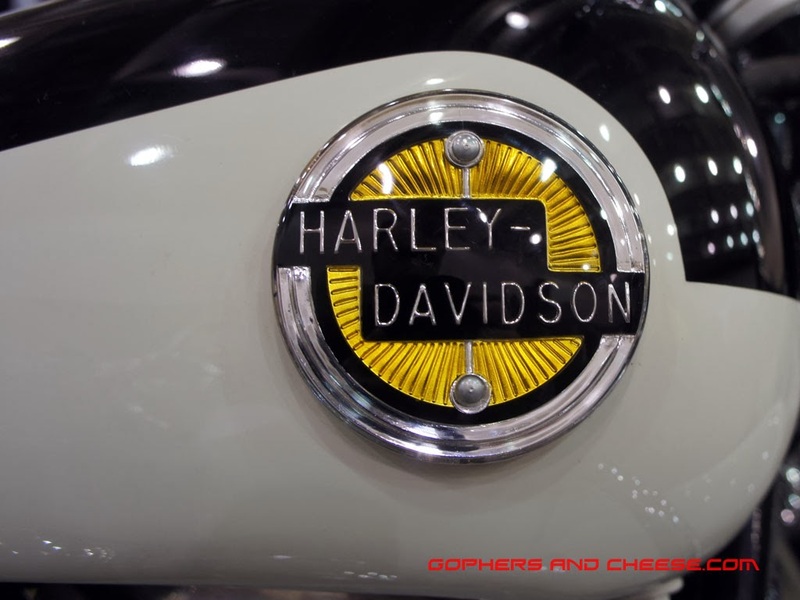 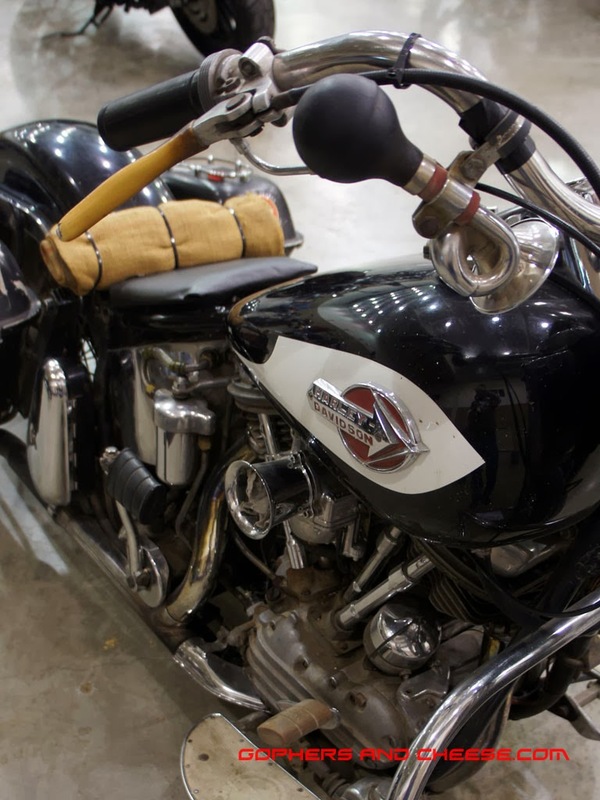 If you can't recognize a Harley motor by looking at it, the paint on this 1954 FL's tank will help you out. 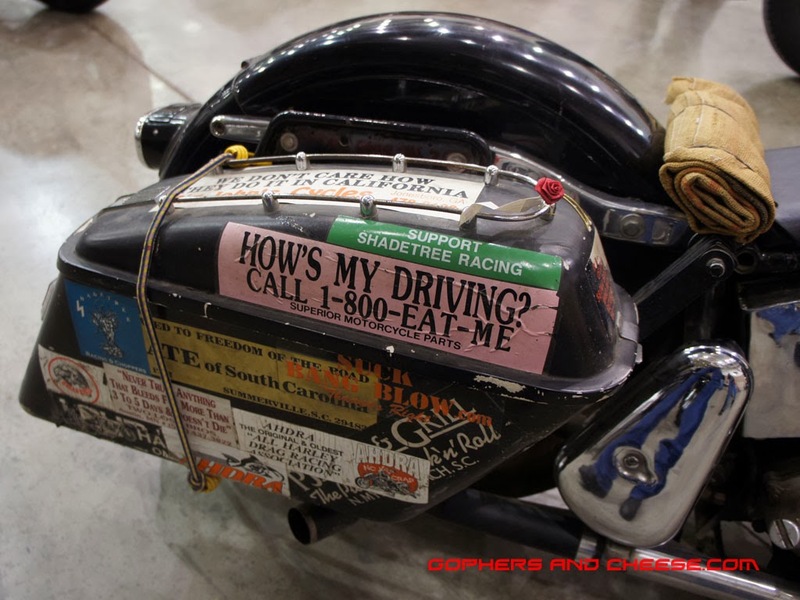 Finally, this 1960 FLH had a lot to say and it said it with bumper stickers... and a bicycle horn.